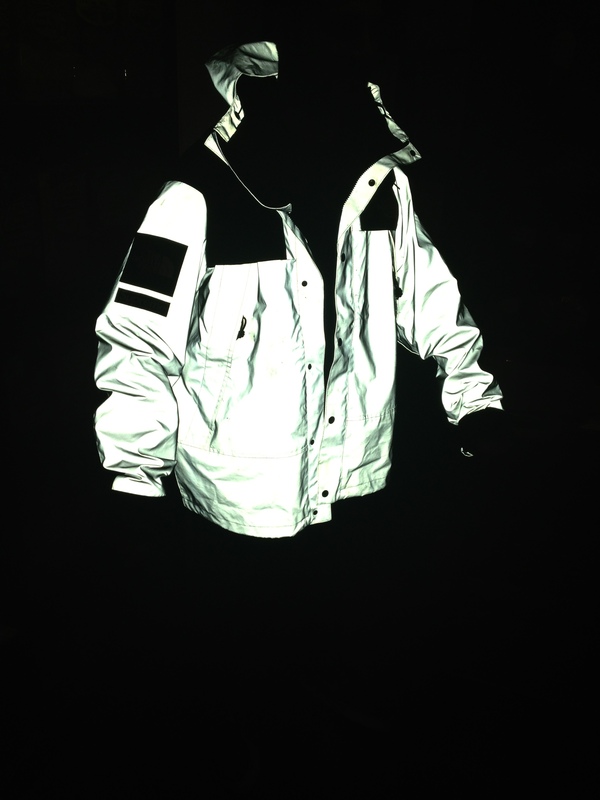 so this is my new jacket when a flash hits it! its made out of 3M which is basically high vis material! This entry was posted in Uncategorized and tagged cdg, face, north, supreme, the, the north face, tnf. Bookmark the permalink.